At an emotional sentencing hearing Monday, a woman recalled how she lost her husband, son and mother-in-law and her personal ordeal after the San Bruno explosion. “It was beyond words, it was a horrible experience for me,” Sue Bullis told Judge Thelton Henderson about how the PG&E pipeline explosion shattered her life. Henderson told the prosecution and Pacific Gas and Electric Co. that he intends to see the maximum probation term of five years as well as the maximum $3 million penalty. Henderson will set out the details of the sentence at the Thursday hearing. Bullis told Henderson a highly personal account of the San Bruno nightmare. She said her 24-year old daughter was out with friends to celebrate her birthday, Bullis said. A nurse, Bullis was at a Sunnyvale hotel for a work conference. That’s when she heard about the fire in her neighborhood and tried to find her husband and son, without success. Bullis lost her husband, Greg, 50, son William, 17, and mother-in-law, Lavonne, 82. The shock of the night and the aftermath turned to terror, self-imposed isolation and depression. Bullis said she was so haunted by memories that she had move away and even quit the church where her family worshipped. She said she kept seeing her lost family in the front pew. Bullis also became estranged from her surviving daughter, although they have since reconciled. She said her ordeal was so crippling, she could no longer work as a nurse. At one point, Bullis told the court, she contemplated suicide. With therapy and support, Bullis said she has found a path forward. Still, Bullis told the court that she is filled with regrets over what happened that night. She then asked if the utility had any remorse for what occurred, given their aggressive defense in the court trial last year. “I just wonder, today, if PG&E has any regrets,” she said. Bullis then asked that the judge to act to ensure that the safety of the community is assured. Bullis was followed by Jessica Morales, who lost her daughter Rene in the blast. Morales told Henderson that she was disappointed that no one in the company had “seen the inside of a jail cell” for what happened. An official with the National Transportation Safety Board also addressed the court, saying that the investigative body spent needless time fighting with the utility during the yearlong probe. The company is now convicted of one count of obstructing the NTSB probe. A PG&E official, hired in 2015 as chief ethics compliance officer, became emotional herself as she gave a statement to the court. 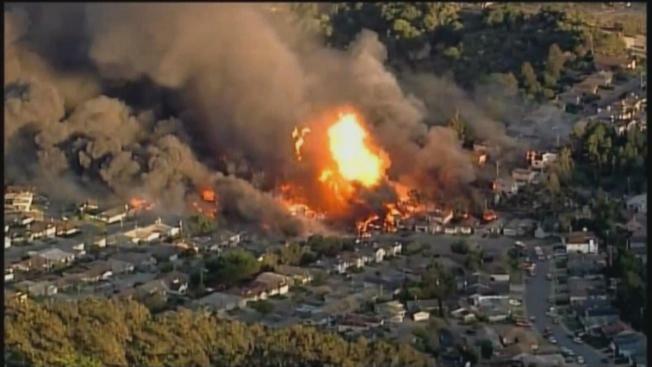 “On behalf of PG&E, we sincerely apologize to the families and friends of those who lost their lives or were injured in this tragic explosion, and we want them to know our mission and our commitment to safety will never stop,” said Julie Kane, a vice president with the company.